Use the versatile rubber band ball as stress reliever or entertaining office storage. Treat it as a source for 250 2" bands. Squeeze it to relieve stress. Bounce rubber band ball to have fun. 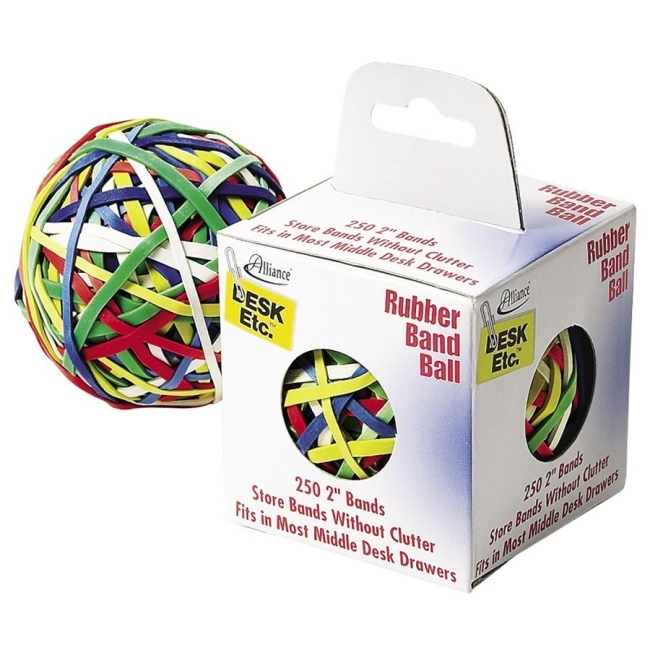 Biodegradable rubber band ball is the perfect size for a middle desk drawer.